Congratulations to the Life Plan Communities (CCRCs) awarded the AVP Seal based on their actuarial reports for fiscal years ended in 2017! The AVP Seal is a designation developed by A.V. Powell & Associates to indicate that a community’s actuarial results place them in the top tier for long-term solvency. 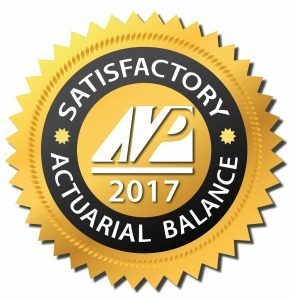 Communities with the AVP Seal are in satisfactory actuarial balance with above average actuarial position.